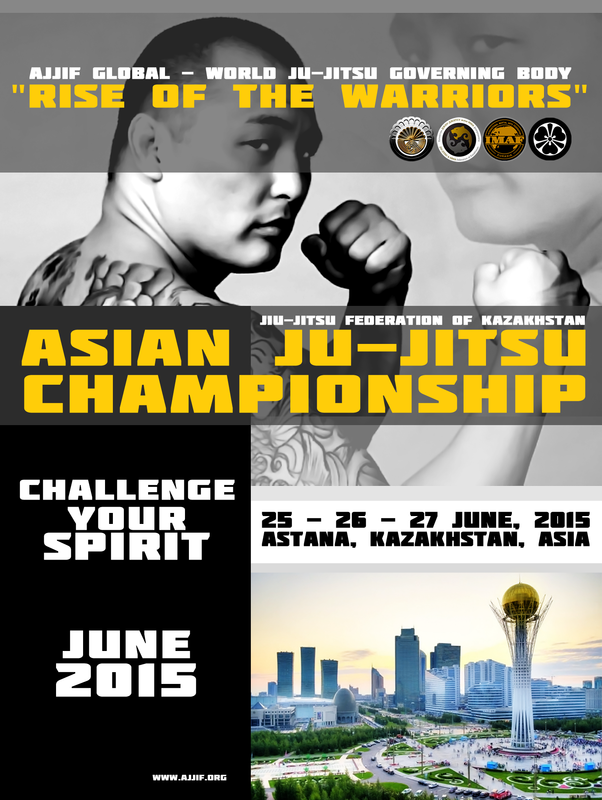 Eurasian Ju-Jitsu Championship, International Katabami Ju-Jitsu Seminar. O-Sensei Alexey Kunin 10 Dan Ju-Jitsu ( USA ), Founder & Head of the AJJIF GLOBAL, Headmaster / Head Family of Katabami Ju-Jitsu Clan. Lt. Gen. Mikhail Tikhomirov, Chairman of the National Union Non Olympic Sports in Russia, AJJIF Board Member ( Russia ). Soke Yury Smirnov 9 Dan Ju-Jitsu ( Russia ), AJJIF Director of Eurasia, AJJIF Representative ( Russia ), President of IMAF EURASIA, Member of Katabami Ju-Jitsu Clan. Soke Ruben Tsaturyan 9 Dan Ju-Jitsu ( Armenia ), AJJIF Representative in Armenia. Sensei Karina Ivanova 4 Dan Combat Karate ( Russia ), AJJIF Director Moscow Branch, Member of Katabami Ju-Jitsu Clan. With the Support of the Russian Government, Ministry of Sports & Education of Russia, State and City Officials. Russian National TV and Press Coverage. 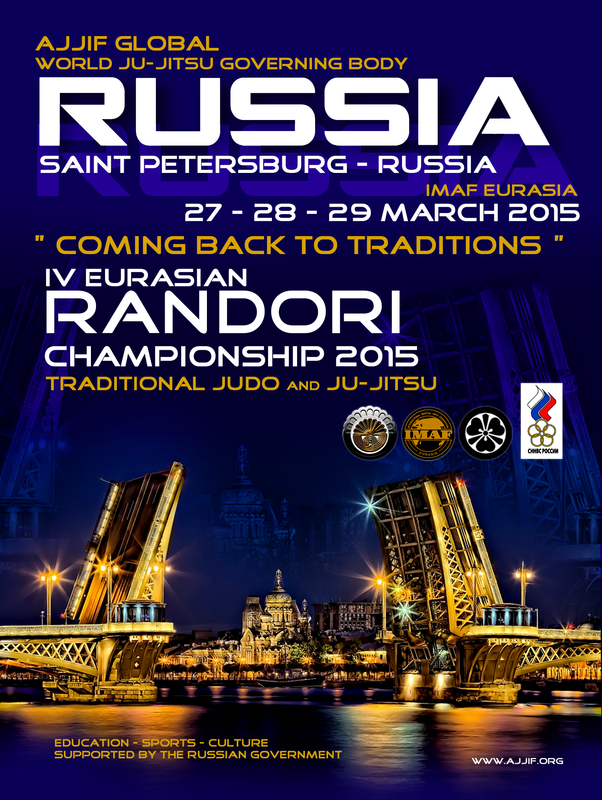 Organized and Hosted by IMAF EURASIA & AJJIF RUSSIA. Okinawa Karate & Traditional Japanese Ju-Jitsu Seminar. O-Sensei Alexey Kunin 10 Dan Ju-Jitsu ( USA ), Founder & Head of the AJJIF GLOBAL, Headmaster / Head Family of Katabami Ju-Jitsu Clan, Vice President of WTFSKF. Soke Del Saito 10 Dan Karate ( USA ), AJJIF Technical Adviser, Member of the Katabami Ju-Jitsu Clan. Hanshi Ionel Bara 8 Dan Okinawa Karate ( Switzerland ), President of WTFSKF, Vice President of AJJIF, Member of the Katabami Ju-Jitsu Clan. Shihan Erol Bekir Yildirim 7 Dan Ju-Jitsu ( Turkey ), AJJIF Representative in Turkey. Shihan Teodor Telembici 7 Dan Karate ( Romania ), AJJIF Member in Romania. Shihan Joan Gombau, 6 Dan Karate ( Spain ).
" 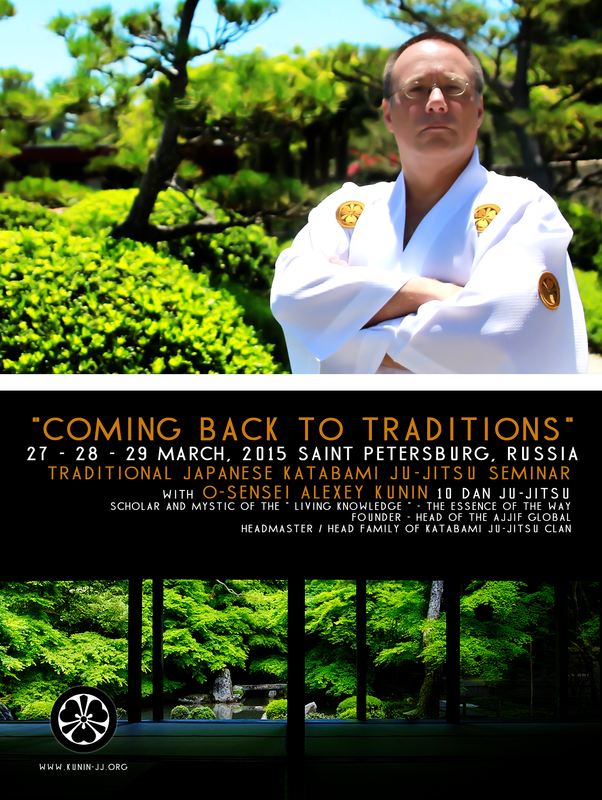 PURITY THROUGH TRAINING "
O-Sensei Alexey Kunin 10 Dan Ju-Jitsu ( USA ), Founder & Head of the AJJIF GLOBAL, Headmaster / Head Family of Katabami Ju-Jitsu Clan, Vice President of WTFSKF. Soke Del Saito 10 Dan Karate ( USA ), AJJIF Technical Adviser, Member of the Katabami Ju-Jitsu Clan. Hanshi Ionel Bara 8 Dan Okinawa Karate ( Switzerland ), President of WTFSKF, Vice President of AJJIF, Member of the Katabami Ju-Jitsu Clan. Shihan Pavel Milovan 8 Dan Ju-Jitsu ( Romania ), AJJIF Representative in Romania, Member of the Katabami Ju-Jitsu Clan. 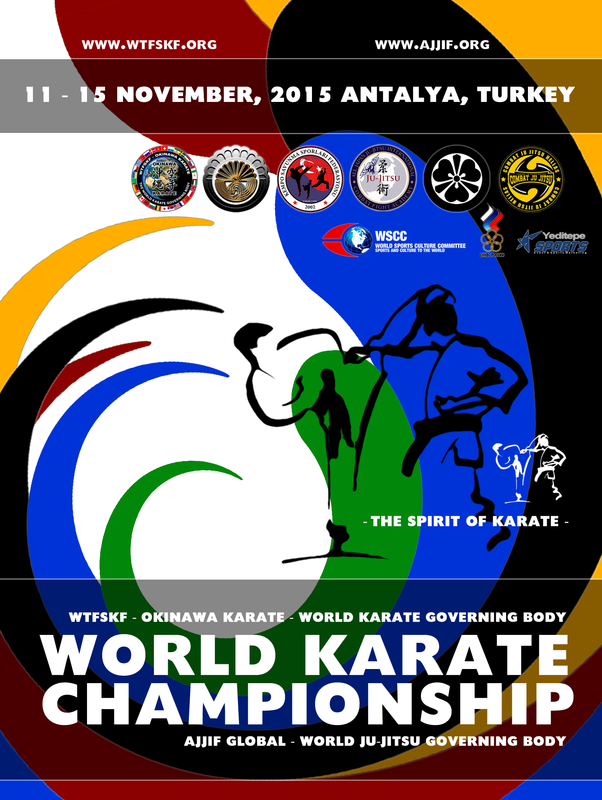 Sanctioned by AJJIF GLOBAL - WORLD JU-JITSU GOVERNING BODY, WTFSKF - OKINAWA KARATE - WORLD KARATE GOVERNING BODY, KATABAMI JU-JITSU CLAN - Ancient Samurai Clan and WSCC - WORLD SPORTS CULTURE COMMITTEE. 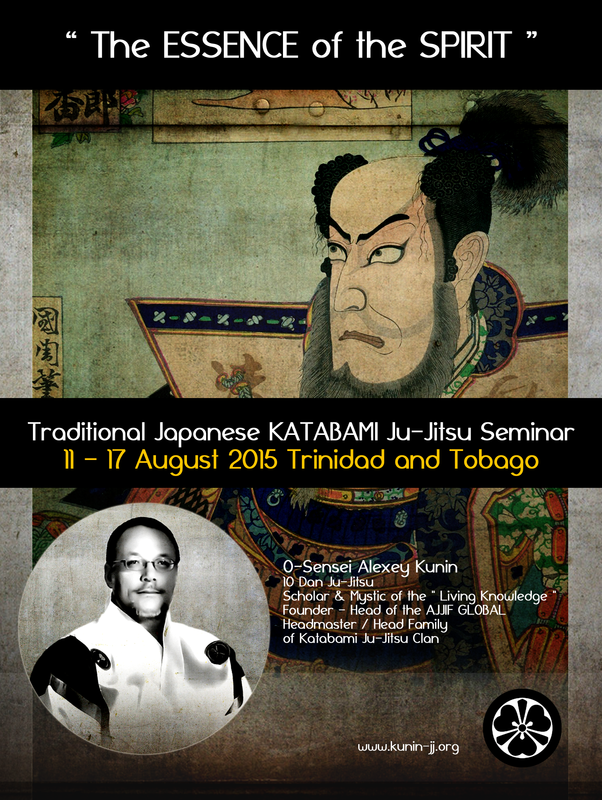 International Karate Gasshuku and Traditional Japanese Katabami Ju-Jitsu Seminar and Black Belt Exams. O-Sensei Alexey Kunin 10 Dan Ju-Jitsu ( USA ), Founder & Head of the AJJIF GLOBAL, Headmaster / Head Family of Katabami Ju-Jitsu Clan. Vice President of WTFSKF. Soke Del Saito 10 Dan Karate ( USA ), AJJIF Technical Adviser, Member of the Katabami Ju-Jitsu Clan. 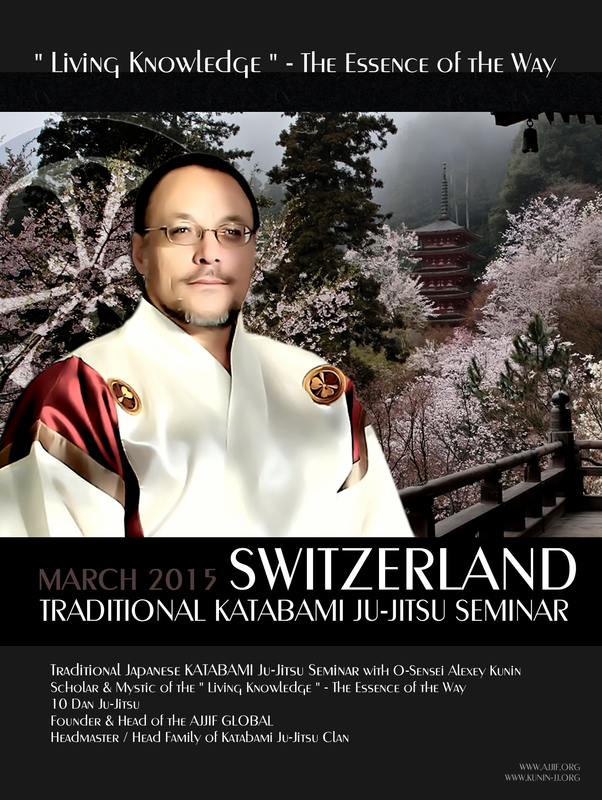 Hanshi Ionel Bara 8 Dan Okinawa Karate ( Switzerland ), President of WTFSKF, Vice President of AJJIF, Member of the Katabami Ju-Jitsu Clan. Shihan Pavel Milovan 8 Dan Ju-Jitsu ( Romania ), AJJIF Representative in Romania, Member of the Katabami Ju-Jitsu Clan. 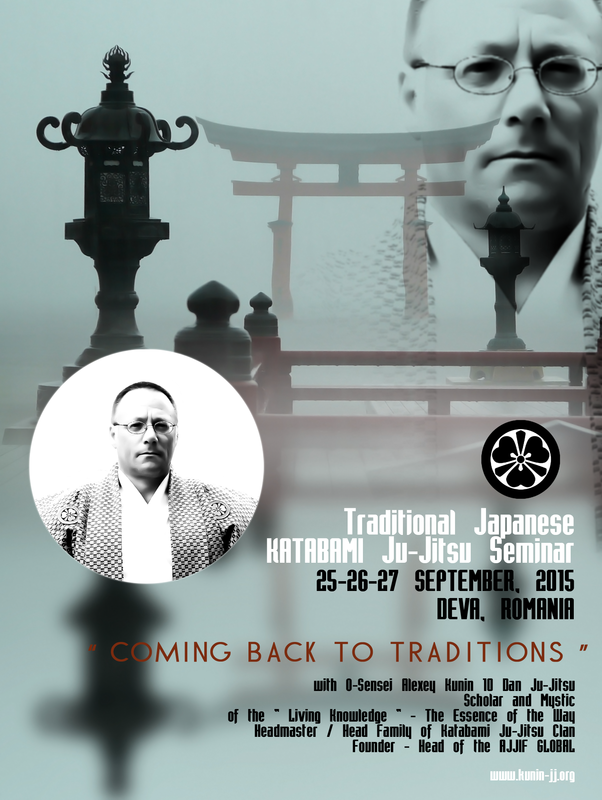 Shihan Teodor Telembici 7 Dan Karate ( Romania ), AJJIF Member in Romania. 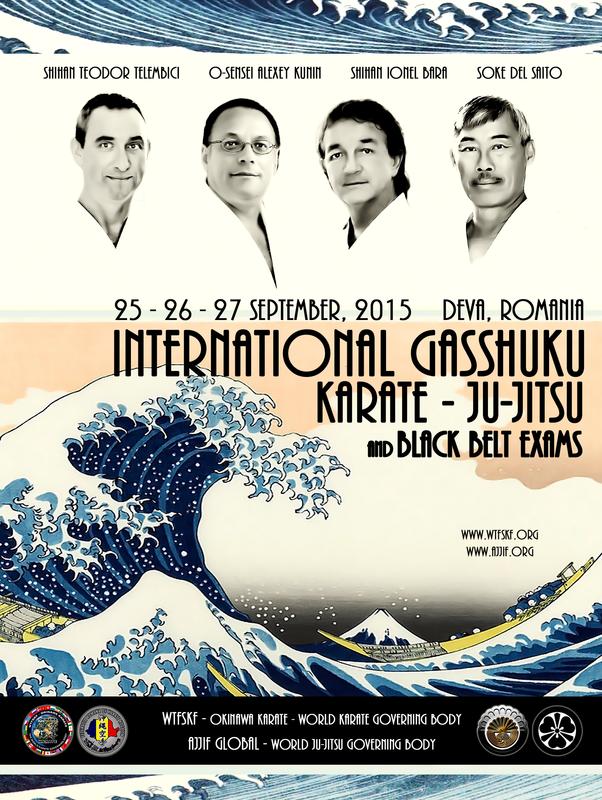 Organized by Romanian Kogaion Karate Federation. 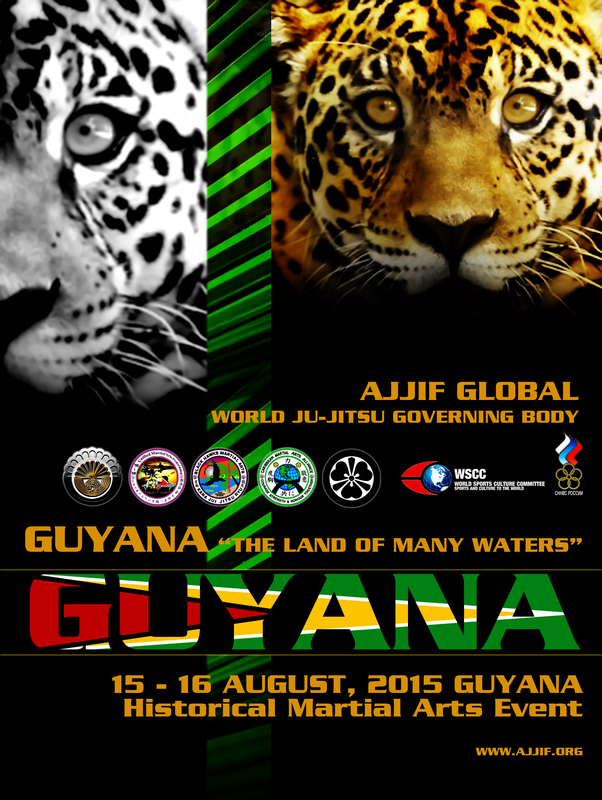 Historical Martial Arts Event in GUYANA ! 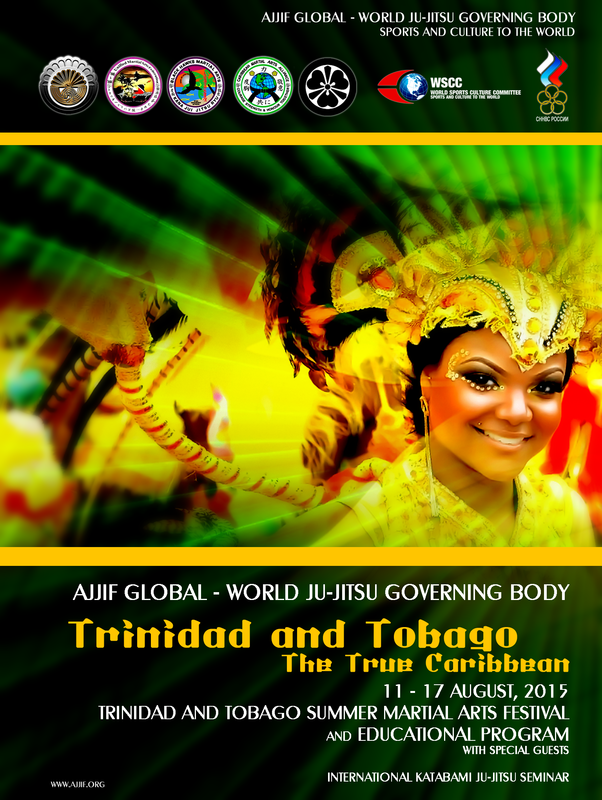 AJJIF GLOBAL - WORLD JU-JITSU GOVERNING BODY - Sports and Culture to the World. O-Sensei Alexey Kunin 10 Dan Ju-Jitsu ( USA ), Founder & Head of the AJJIF GLOBAL, Headmaster / Head Family of Katabami Ju-Jitsu Clan. Soke Prof. Christopher Francis 10 Dan Ju-Jitsu ( Trinidad & Tobago ), AJJIF Representative in Trinidad & Tobago, AJJIF Director of Caribbean Region. 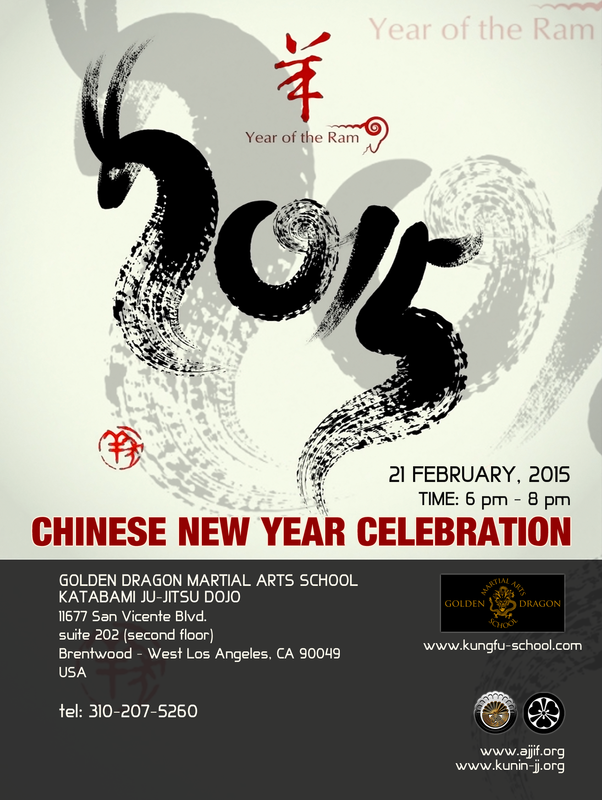 Hanshi Dr. Kevin Hufford 10 Dan RyuHi Toshi Karate-Do ( USA ), AJJIF Director of Chinese Martial Arts Division. Master Eric Kovaleski 7 Dan Tang Soo Do ( USA ), AJJIF Director of Korean Martial Arts Division. Sports and Culture to the World. 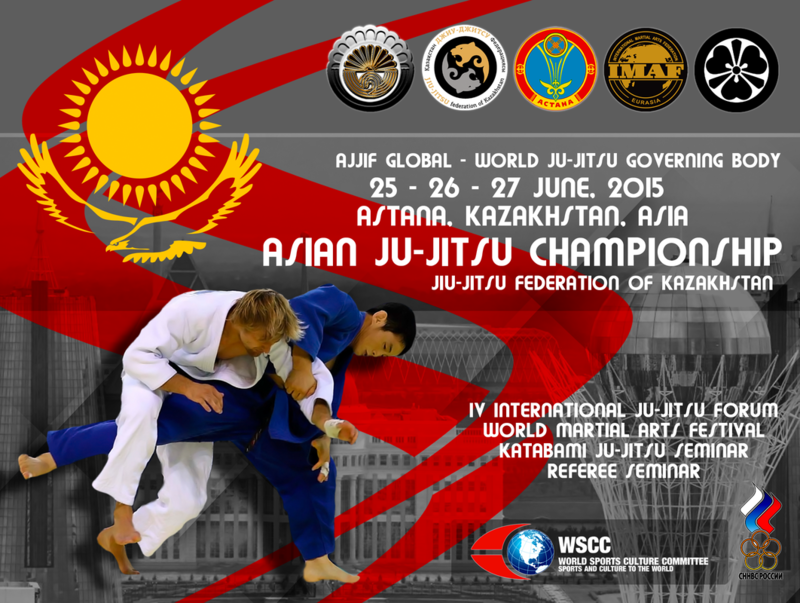 Asian Ju-Jitsu Championship - Recognized and Supported by Kazakhstan Ministry of Sports, Culture and Education. 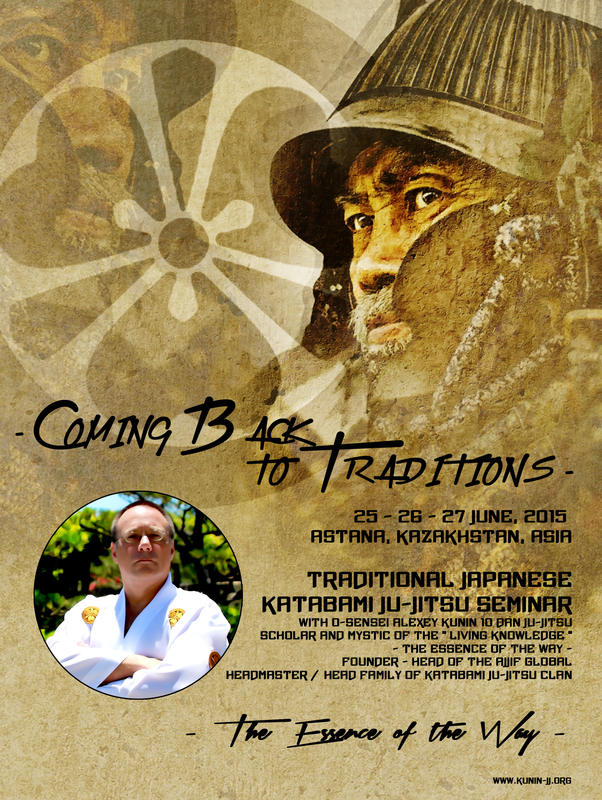 IV International Forum of Traditional Ju-Jitsu. I International Martial Arts Festival. AJJIF Referee Seminar, Press Conference, Kazakhstan National TV. O-Sensei Alexey Kunin 10 Dan Ju-Jitsu ( USA ), Founder & Head of the AJJIF GLOBAL, Headmaster / Head Family of Katabami Ju-Jitsu Clan. 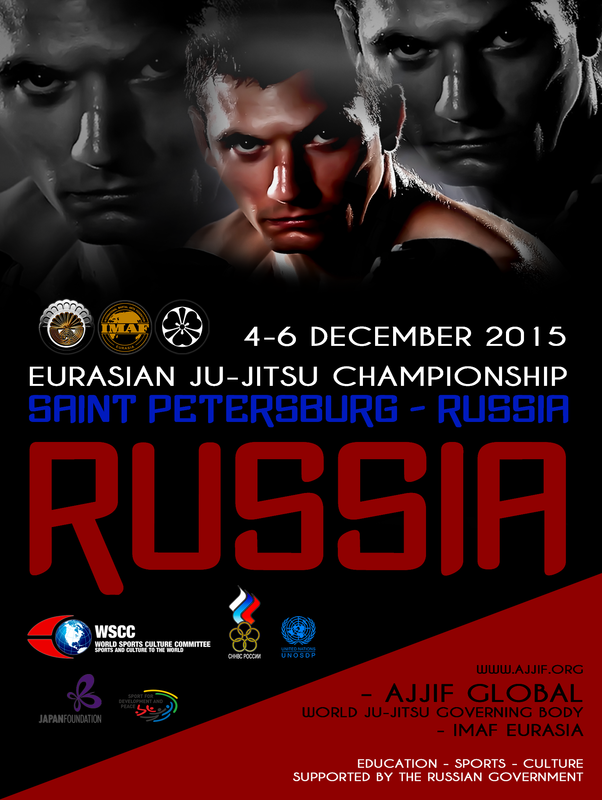 Soke Yury Smirnov 9 Dan Ju-Jitsu, AJJIF Director of Eurasia, President of IMAF EURASIA, Member of Katabami Ju-Jitsu Clan. Bolat Mazhagulov - Chairman of the Astana Cultural Ministry, Member of the AJJIF Board of Directors. Steven Seagal - Hollywood Martial Arts Film & TV Star. Sergey Badyuk - Russian TV & Film Producer and Actor, AJJIF Member ( Russia ). Batu Khasikov - World Kick Boxing Champion, MMA Promoter, Politician ( Russia ). Sensei Ilya Mirzo 4 Dan Ju-Jitsu, AJJIF Representative in Kazakhstan, President of National Federation Kazakhstan of Jiu-Jitsu. Member of Katabami Ju-Jitsu Clan. 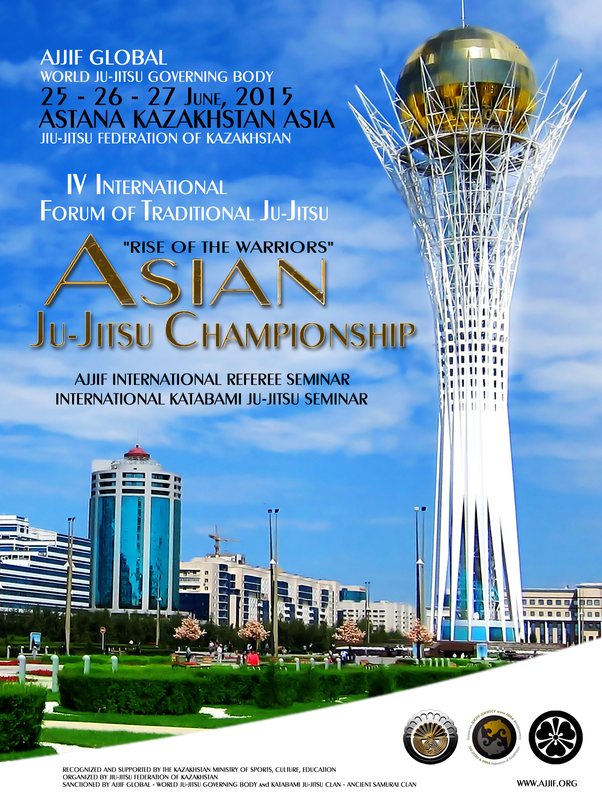 Organized by National Federation Jiu-Jitsu of Kazakhstan. 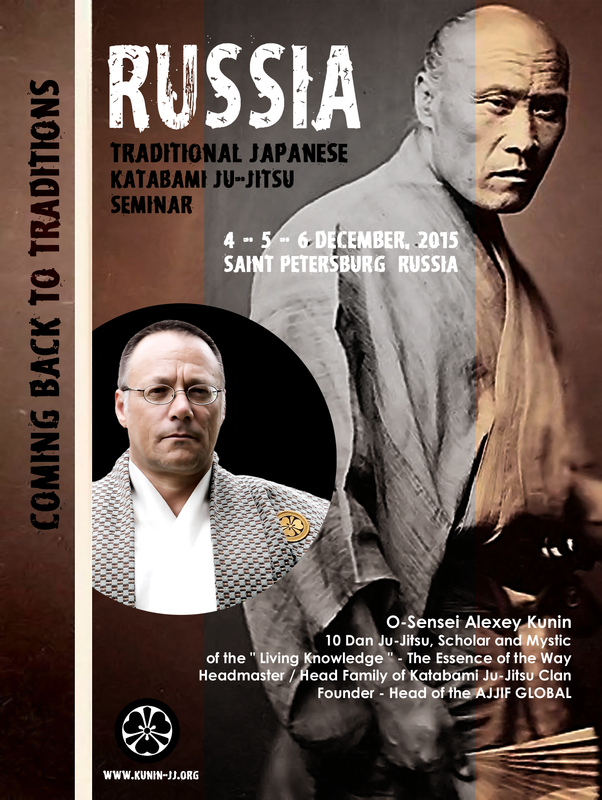 Scholar and Mystic of the " Living Knowledge "
"THE ESSENCE OF THE SPIRIT"
O-Sensei Alexey Kunin 10 Dan Ju-Jitsu ( USA ), Founder & Head of the AJJIF GLOBAL, Headmaster / Head Family of Katabami Ju-Jitsu Clan. Soke Yury Smirnov 9 Dan Ju-Jitsu ( Russia ), AJJIF Director of Eurasia, AJJIF Representative ( Russia ), President of IMAF EURASIA, Member of Katabami Ju-Jitsu Clan. 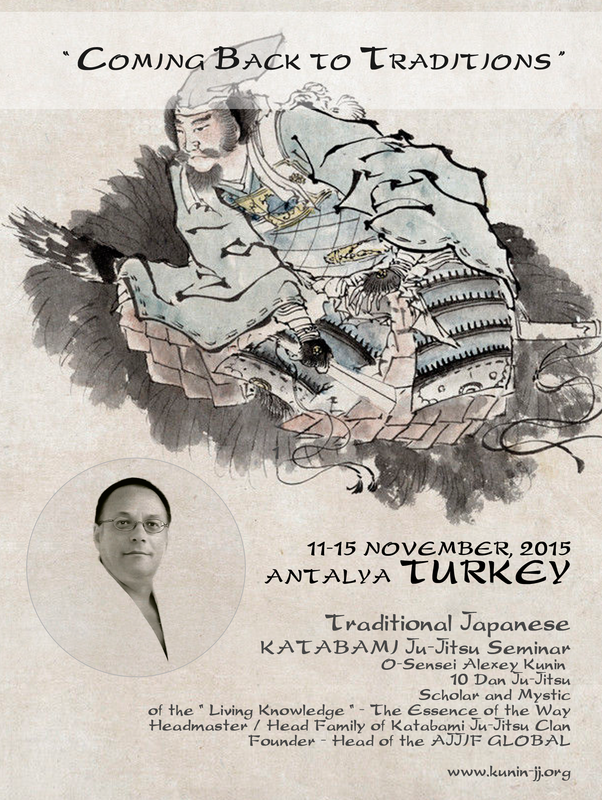 Shihan Erol Bekir Yildirim 7 Dan Ju-Jitsu ( Turkey ), AJJIF Representative in Turkey.
" 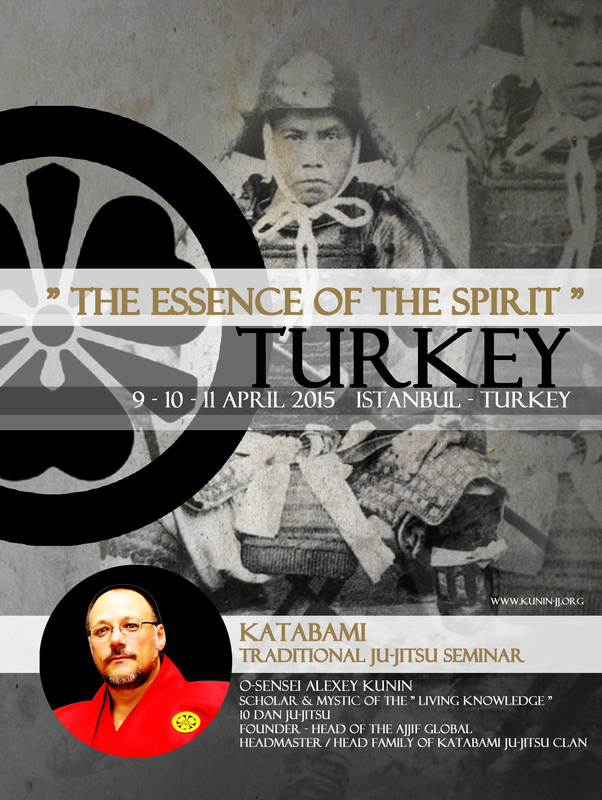 THE ESSENCE OF THE SPIRIT "
Scholar & Mystic of the " Living Knowledge "
IV Eurasian Randori Championship ( Traditional Judo and Ju-Jitsu ) International Katabami Ju-Jitsu Seminar. O-Sensei Alexey Kunin 10 Dan Ju-Jitsu ( USA ), Founder & Head of the AJJIF GLOBAL, Headmaster / Head Family of Katabami Ju-Jitsu Clan. Lt. Gen. Mikhail Tikhomirov, Chairman of the National Union Non Olympic Sports in Russia, AJJIF Board Member ( Russia ). Soke Yury Smirnov 9 Dan Ju-Jitsu ( Russia ), AJJIF Director of Eurasia, AJJIF Representative ( Russia ), President of IMAF EURASIA, Member of Katabami Ju-Jitsu Clan. Matsubara Hitoshi, Director of the Japan Center in Russia. With the Support of the Russian Government, Ministry of Sports & Education of Russia, State and City Officials. Russian National TV and Press Coverage. Organized and Hosted by IMAF EURASIA & AJJIF RUSSIA. O-Sensei Alexey Kunin 10 Dan Ju-Jitsu ( USA ), Founder & Head of the AJJIF GLOBAL, Headmaster / Head Family of Katabami Ju-Jitsu Clan. Soke Del Saito 10 Dan Karate ( Japan ), AJJIF Technical Adviser, Member of the Katabami Ju-Jitsu Clan. 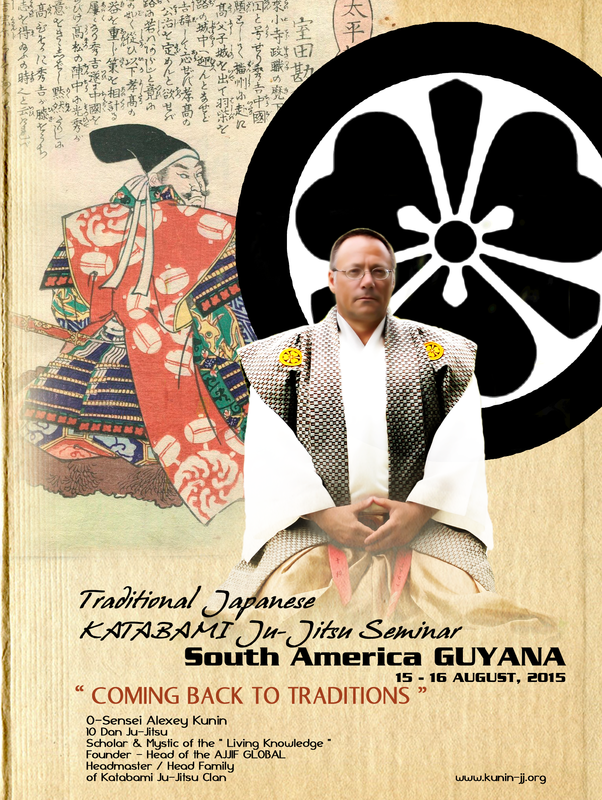 Shihan Ionel Bara 8 Dan Okinawa Karate ( Switzerland ), President of WTFSKF, Vice President of AJJIF, Member of the Katabami Ju-Jitsu Clan. Shihan Pavel Milovan 8 Dan Ju-Jitsu ( Romania ), AJJIF Representative in Romania, Member of the Katabami Ju-Jitsu Clan. 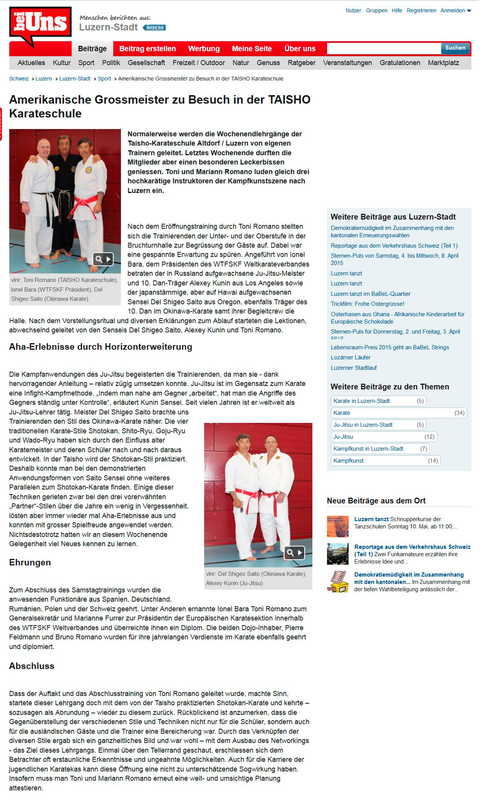 Shihan Toni Romano 7 Dan Karate ( Switzerland ), AJJIF Representative in Switzerland. 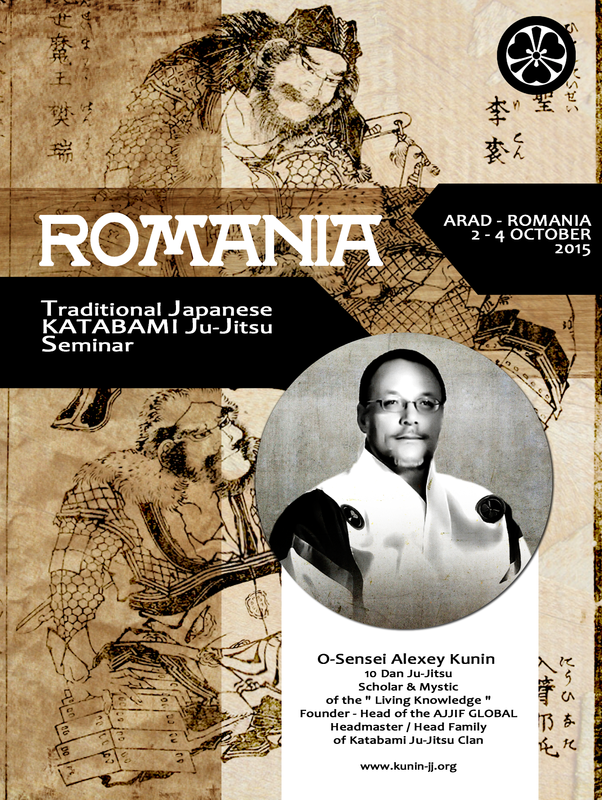 Shihan Teodor Telembici 7 Dan Karate ( Romania ), AJJIF Member in Romania. Shihan Joan Gombau, 6 Dan Karate ( Spain ). 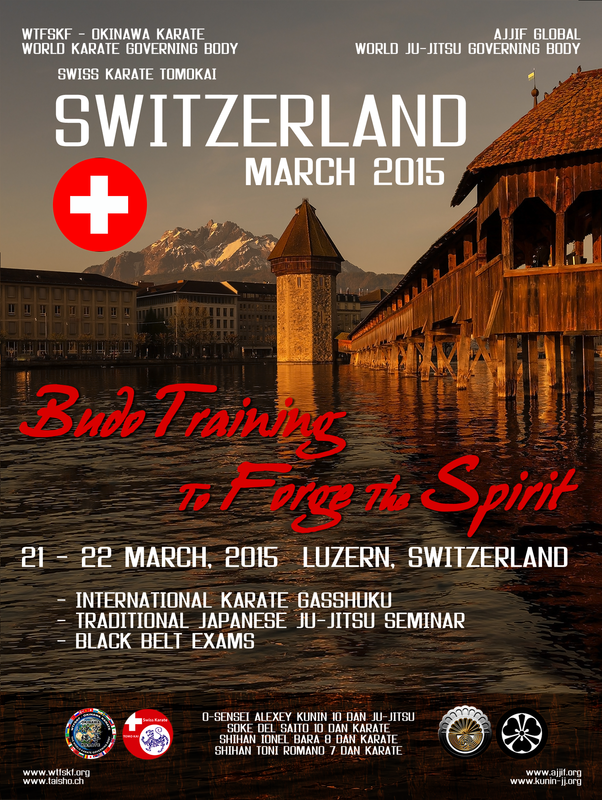 Organized and Hosted by Swiss Karate Tomokai. Sanctioned by WTFSKF - OKINAWA KARATE - WORLD KARATE GOVERNING BODY, AJJIF GLOBAL - WORLD JU-JITSU GOVERNING BODY and KATABAMI JU-JITSU CLAN - Ancient Samurai Clan. O-Sensei Alexey Kunin 10 Dan Ju-Jitsu ( USA ), Founder & Head of the AJJIF GLOBAL, Headmaster / Head Family of Katabami Ju-Jitsu Clan. Sifu Valery Prosvirov ( USA ) , Headmaster of Golden Dragon, AJJIF Member. Sempai Dmitry Prosvirov ( USA ), Instructor of Golden Dragon, AJJIF Member. Sanctioned by AJJIF GLOBAL - WORLD JU-JITSU GOVERNING BODY and KATABAMI JU-JITSU CLAN - Ancient Samurai Clan.